Of Horses and Steaks: Few countries are better known for their grilled meats and horse-y sports than Argentina. The South American nation is famous for its prowess on the polo field — and on the grill. Inspired by the grand designs of Buenos Aires’ affluent Recoleta neighborhood, the space features equestrian accents, sorting memorabilia, dark wood panels, leather banquettes — and a full menu of premium meats, top-notch Argentinian wines and craft cocktails. Brunch is a big deal at Buenos Aires Polo Club. 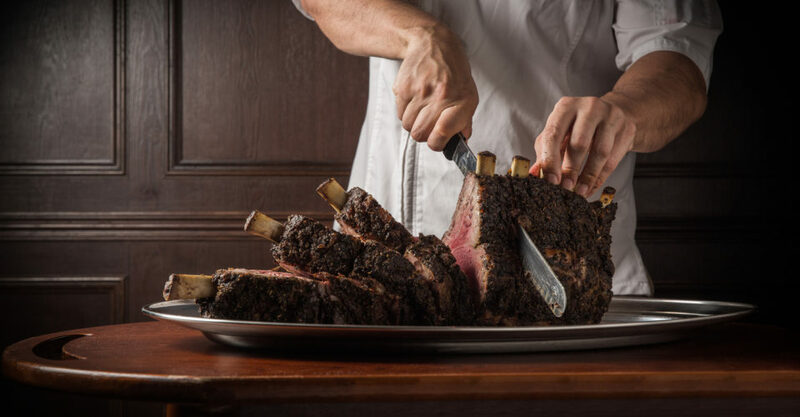 This lavish affair offers a huge seafood selection, a carving station with prime rib, charcuterie and cheese, and a bespoke egg station where dishes are made-to-order. Rounding out the offering are freshly baked pastries, apple empanadas, cinnamon buns, and a range of cakes and pies. And to wash it down? A Bloody Mary station, of course, and add-on drink packages. One lucky reader will get the chance to play Santa for a couple of friends thanks to Buenos Aires Polo Club! The Loop HK is giving our readers the opportunity to win one premium free-flow brunch package for four guests at Buenos Aires Polo Club (worth $4338). Enter now, and you may just be taking three friends to the most baller brunch in Hong Kong! Enter by December 12. Winners will be announced on December 24. Share this Giveaway with your friends for a greater chance to win! Entry form below. And don’t forget to like The Loop HK on Instagram and Facebook, and Buenos Aires Polo Club’s Instagram profile and Facebook page. By entering, you agree to share your details with Black Sheep Restaurants. Written by The Loop HK for Black Sheep Restaurants.